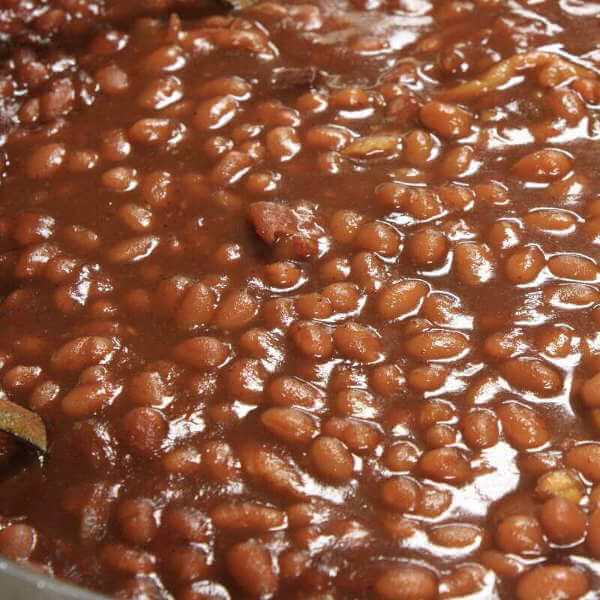 Enjoy Smoky Baked Beans For Every Meal! Baked beans and barbecue are a perfect pair. 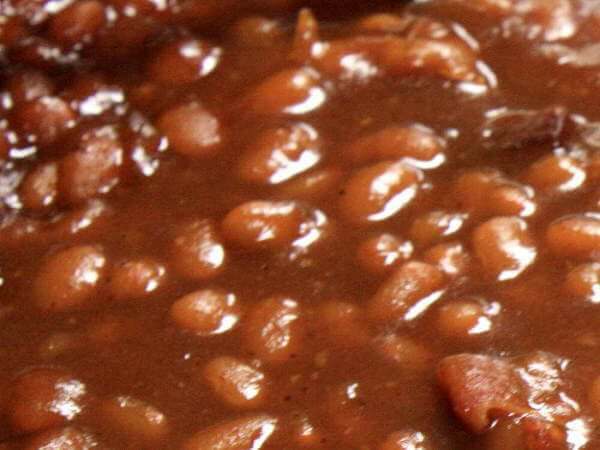 This recipe for smoky baked beans comes very close to duplicating the great tasting beans served at Fiorella's Jack Stack Barbecue. The smoky flavor of these beans comes from the addition of smoked brisket, and then some time slow cooking in the smoker. Barbecue isn't barbecue without a mound of sweet, satisfying beans. Here's the recipe! Smoky Baked Beans Have Fun Filled Flavor! Combine all ingredients in a saucepan, bringing to a boil over medium heat. Reduce heat and simmer for 10 minutes. Transfer the beans to a baking pan and place in your smoker. Smoke for 45 minutes, leaving the pan uncovered. Stir the beans two or three times as they cook. This recipe can also be prepared entirely on the stove top. Add one teaspoon of liquid smoke, then simmer the beans for 30 minutes to one hour, or until they reach a thick and soupy consistency. Smoky Beans, The Magical Fruit! Because of the added brisket, you can enjoy this high protein recipe as a main course. It may sound pretty weird to you, but when I was a kid we'd use leftover beans to make sandwiches. I still enjoy a cold bean sandwich every now and then, and I make no apologies for my eccentricity! Don't be afraid to adjust the recipe ingredients to suit your taste. If you prefer them less sweet, cut the amounts of brown sugar and molasses in half. And to make them even more exciting, add one-quarter to one-half teaspoon of ground cayenne pepper powder or a teaspoon of Chipotle chili powder. Try this recipe one time, and I bet you'll get hooked. You'll never have beanless barbecue again!